GOKPOP | Exclusive K-News in Malaysia & Singapore: Ko Kyung Pyo to visit Singapore for the first time on 7 January 2017! Ko Kyung Pyo to visit Singapore for the first time on 7 January 2017! 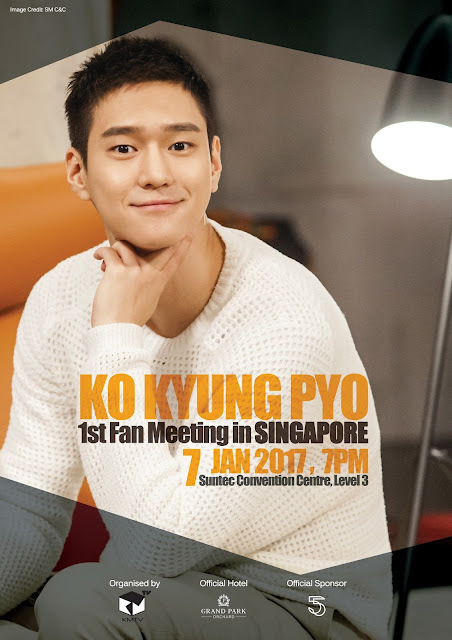 Korean actor Ko Kyung Pyo will be visiting Singapore on 7 January 2017 (Saturday), 7pm at Suntec Convention Centre, Level 3 for his first overseas fan meeting in the South East Asia region. Many who watched "Jealousy Incarnate" (also known as "Incarnation of Jealousy") will know him well as the character Ko Jung Won, the only heir to a large corporation that manages several clothing brands. Prior to this, Ko Kyung Pyo was also one of the main casts in the popular family drama series, “Reply 1988”, where he played the role of Sung Sun Woo, a student council president. 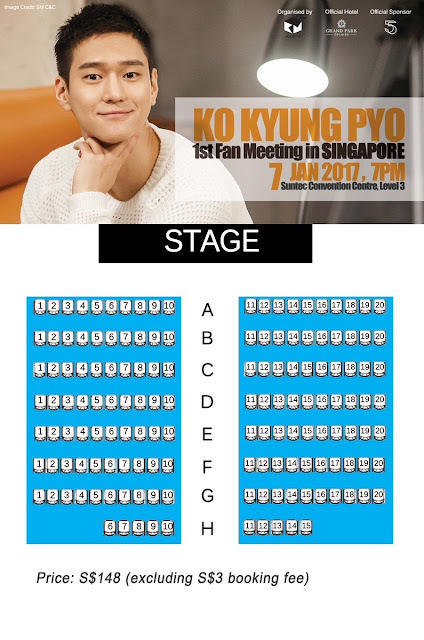 Organized by KMTV Asia, and sponsored by Grand Park Orchard and 5:5, Ko Kyung Pyo’s 1st Fan Meeting in Singapore is only open to 150 fans. Fans will have the chance to get upclose and personal with the actor and for those who attend will receive a hi-touch and a group photo with Ko Kyung Pyo at the end of the event. Not only groupfie, a selfie with Ko Kyung Pyo is possible too, ps: if you're lucky enough. Tickets priced at $148 (excluding $3 booking fee) and will go on sale at www.asiaboxoffice.com from 17 December 2016 at 10AM onwards. Be sure to follow KMTV on Facebook, Twitter and Instagram, and stay tuned for more exciting announcements on getting up-close with the actor!